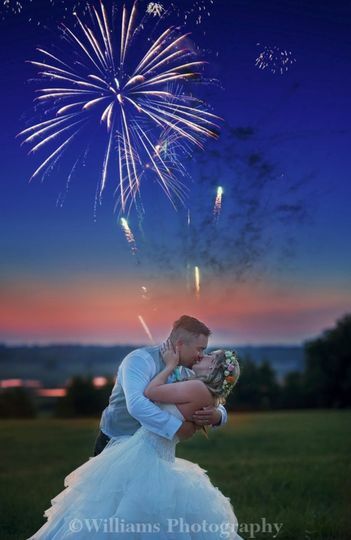 Moore’s Flying M Ranch is a private, rustic wedding venue located in Inola, Oklahoma. They have been in the wedding industry since the early 1970s and offer old-meets-new facilities that couples and their guests will enjoy. Moore’s Flying M Ranch can accommodate up to 300 guests, reception style seating and 350 with the use of the upstairs loft. The unique timber-framed monitor-style event center was built in the style of the 1800s, yet is the newest addition to the ranch facilities. The barn has a complete set up with a kitchen, handicap accessible restrooms, a shower room, and an upstairs loft with a private ready quarters & private bathroom. 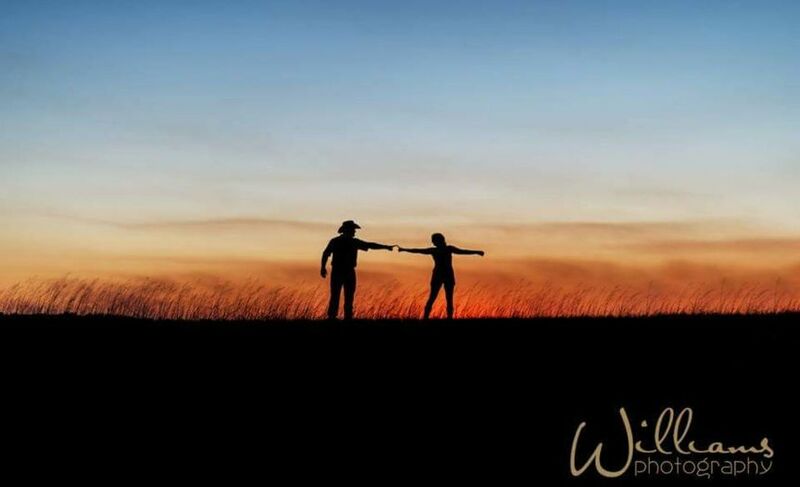 Moore’s Flying M Ranch specializes in creating custom, all-inclusive packages to cater to each couple's needs and wants. 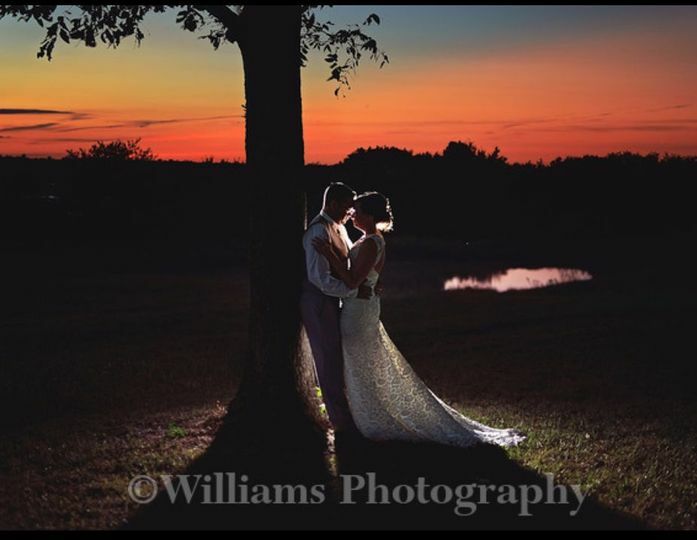 We offer great packages for our couples who are hands on & want a full DIY experience as well as packages for complete turn key events. 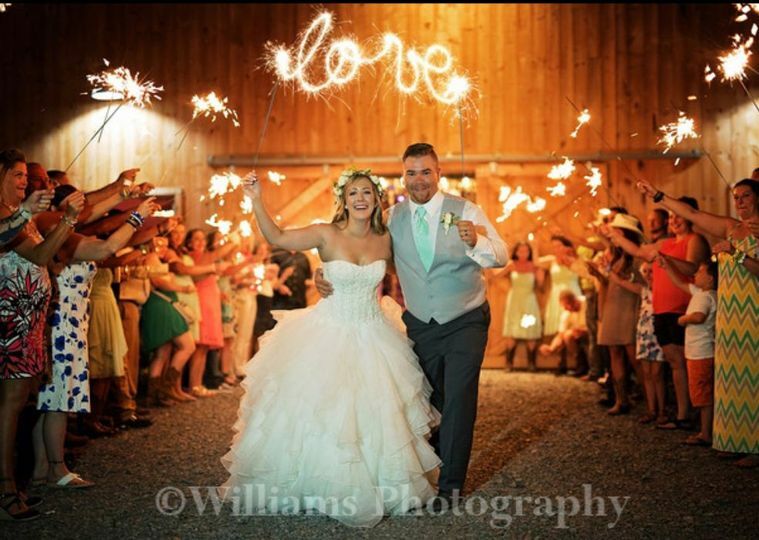 We offer on site event and decor planning, firework displays & DJ services too! 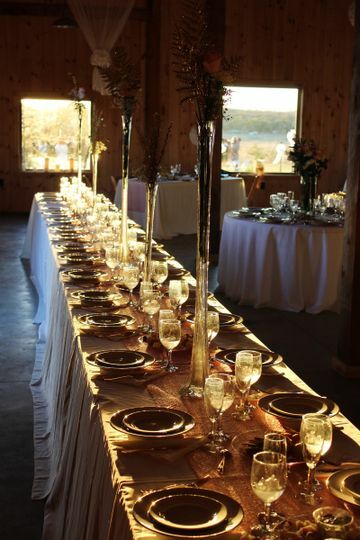 Couples can host wedding ceremonies, receptions, bridal showers, and engagement parties at the ranch. Hunting packages available, please contact us for additional info. Early spring ceremony set up! Every evening we are blessed with a new and unique sunset, making every event extra special! 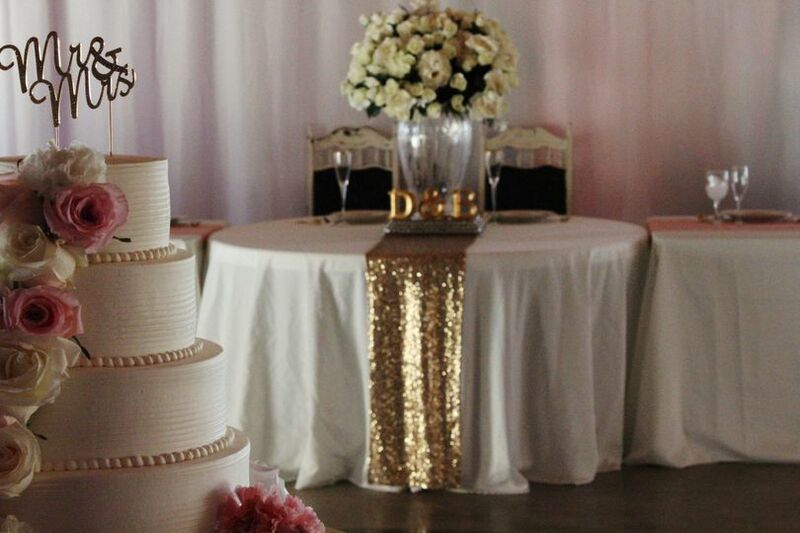 Sweet decor setup by Willow Key Events. Spacious main hall allowing for 300 seated guests to mingle and party! Lovely setup by one of our ponds on the ranch. View peeking in through one of the slider doors on the north side of the barn. 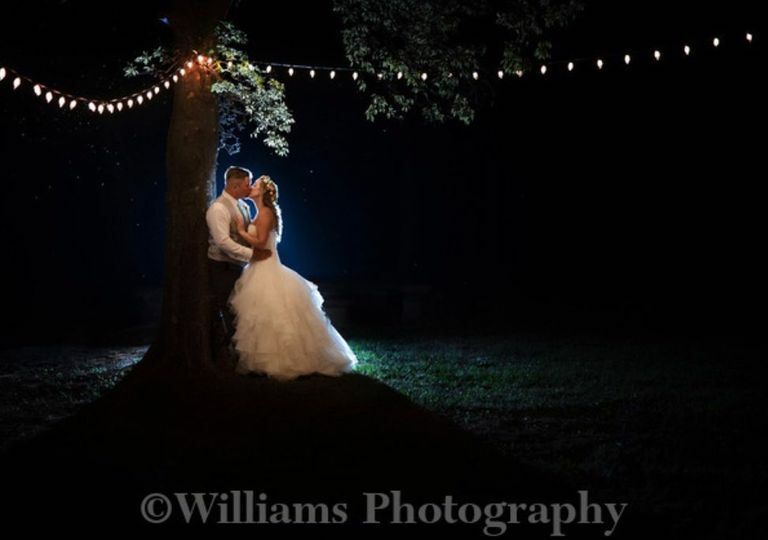 A stunning tent set up by Willow Key Events! The venue was breath taking and Debby is just the perfect vender! She made us feel like friends more than just customers or a dollar sign. I would definitely recommend this in the future to other friends for their events! If I could rate this place higher than a five I would! Hands down the best place and the people that run it are amazing and so helpful! THIS PLACE IS AMAZING!!!! Words can not even describe how awesome this place is! If you are looking for that rustic wedding that's pictured on Pinterest, this is the place! 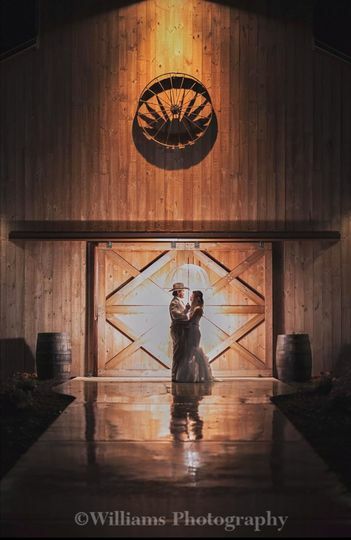 They have a big beautiful barn with electricity and all the bells and whistles including a bridal suite and a huge cabin for rent for the night before and after! I can't wait to have my wedding here in June! Jennifer is a blessing and she really know how to have a great wedding and save money! The people who own the ranch are good, honest people who aren't into tricking you for more money. I really respect them for what they do and how they do it! 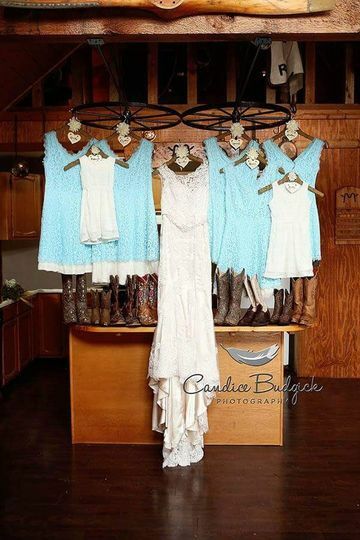 The barn is located on 700 acres and they let you go just about anywhere on them to have your ceremony. They're even letting me come out for free and shoot my engagement pictures! I love it!